: This IEL is second in series of (5) student discussion sessions that our SIP group is organizing to provide a dialog opportunity for the students to discuss and realize the relevance of their research goals in achieving the UN’s Sustainable Development Goals. 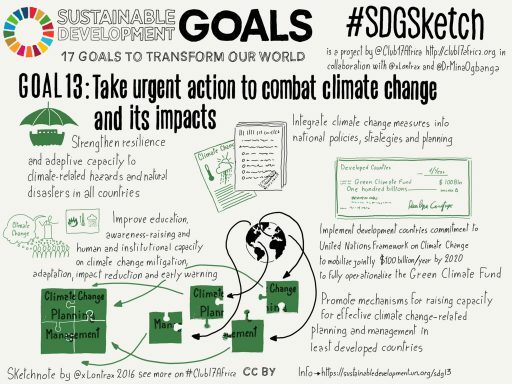 This IEL will be focused on discussions towards Goal 13 of SDGs i.e. Climate Change. We will utilize the results of our survey, to invite the students who have already filled our survey. We will gather these people and facilitate the discussion on 1 or 2 specific SDGs. The IEL will be open to all GSDM students, and we will prepare general material so that everyone is included in the discussion. The objective of the IEL is to help GSDM students to think about social relevance or the technical feasibility of their ideas and help them come up with topics for RDW, SIPs and Side-Paper. We will summarize the ideas discussed during the workshop to propose new SIP proposals in our final report. The remaining of the IELs will be used to try the variations in the methodology with similar objectives.